These are two of the only things that we can control and are key factors to every single successful person in the world. Whether it’s through sports, sales, or life, Rich Stone has focused on these two areas – and it’s served him well. Rich brings with him 10+ years of technology sales and was named Sales Rep of the Year at his company in 2014. He has 15+ years in competitive athletics and played football at St. Anselm College. He has contributed blogs and podcasts to Salesforce Quotable and is seen as a thought leader in social selling. Currently, he is a husband, father of two, and VP Sales at TechTarget. All of those accomplishments – and any on the horizon – are due to the attitude and effort he puts in to his day-to-day tasks. 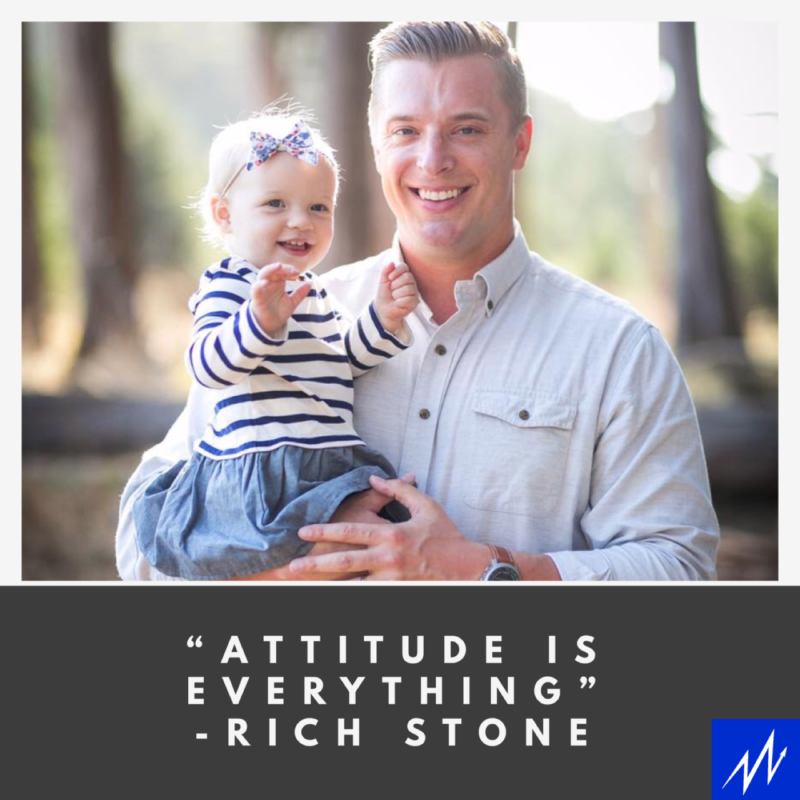 In this episode, we talk about how sports and competition as a kid help you later in life, his mantra of “Attitude is everything” and tactical sales advice that anyone can apply today. This is the first episode of the Millennial Momentum Podcast (formerly TR Talk). We hadn’t’ quite figured out the audio at this point, so please bear with us. Hope you enjoy.